A few weeks ago I opened a small etsy shop in an effort to help sell some of my MIL’s clothing from the late 70’s & 80’s for her husband. I started with 3 items that were easily posted just to see how well they’d do…and last week I sold my first item (cowboy boots). It was really exciting (for both my step-FIL and I). As I prepared to ship the boots to their new owner I realized that they needed to be wrapped to prevent the soles from scuffing the white leather, which made me realize that wasn’t necessarily just a shipping issue. 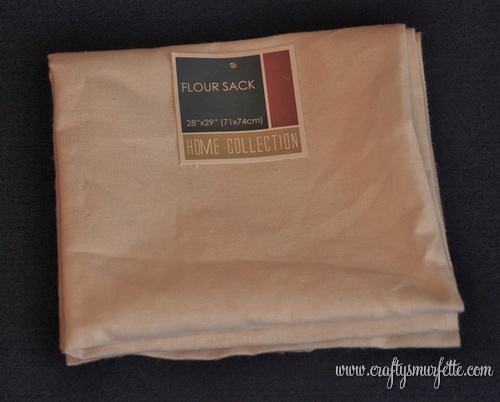 I started looking around the craft room for something stronger than tissue paper that would survive shipping and saw a couple of Flour Sack dish clothes from the local dollar store that I’d picked up to cut into templates for a quilting project currently running around in my head. 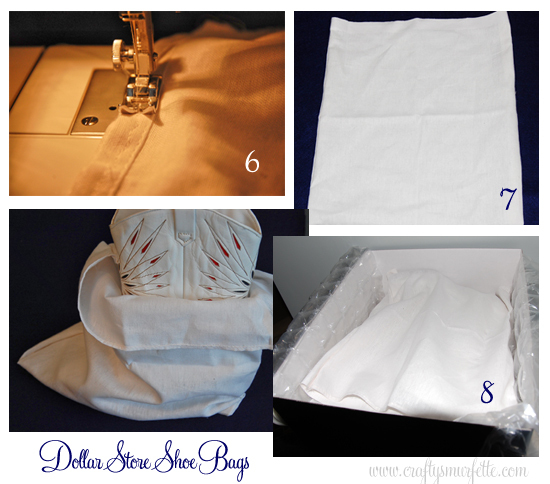 They were perfect, and with scissors and a sewing machine I had two dust bags in less than 10 minutes. 10 minutes + $1 = Winner! Measure shoes or boots to determine how large your bag(s) need to be. Remove tags and open dish cloth flat. 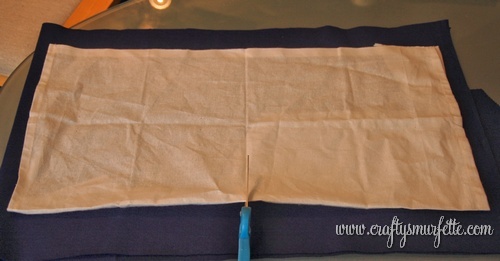 Fold dish cloth in half horizontally with unfinished edges to the outside. Using measurements determine how many bags can be made from one cloth. For this example of women’s cowboy boots we can make two bags. Using scissors or a rotary blade cut the cloth into desired widths. Align open sides of the cloth (pin in place if needed) and sew along the edges. Repeat on other open side. For a more finished product you could also turn down the top edge including a draw string. I plan to make several more of these for several handbags and seasonal shoes so they won’t get dusty between uses. I also think I will attach leftover tags to identify what is in each bag. 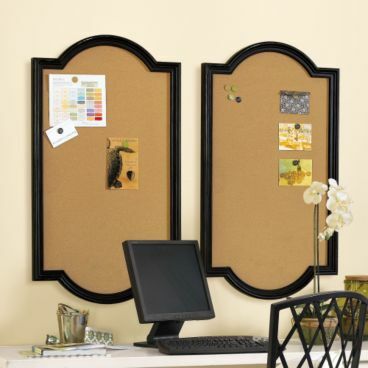 Decor Inspiration – Office "to-do"
I’ve been looking for something that involves cork boards to use in office for ages. I wanted a way to post pieces of ongoing projects in an organized, yet attrative fashion (important since I sometimes hold customer meetings in my office as well). I had decided on two large cork boards that I would make out of two large frames, with the corkboards covered in fabric…but that still didn’t solve the part about how to break down the different projects. Then yesterday the Pottery Barn Kids catalog arrived. I always think it’s funny that we get both these and the Babies version when we are so, so far away from even thinking about the little creatures…but sometimes I glance through them for birthday present ideas for my little cousins. And there it was…I think I might have to change it up just a bit since I don’t want days of the week…but now I think I have an idea up my sleeve! Now to find two large frames similar to these from Ballard Designs on the cheap!